A familiar face is returning to set sail once again in Disney’s Pirates of the Caribbean franchise. Orlando Bloom will once again take up the role of Will Turner in the next installment of popular swashbuckling series, subtitled Dead Men Tell No Tales. It was rumored for months that Bloom might return, but it wasn’t official until Disney’s D23 Expo. Bloom joins the returning Johnny Depp as Captain Jack Sparrow and Geoffrey Rush as the ruthless pirate Barbossa. The story will see a group of ghost pirates led by Captain Salazar, who will be portrayed by series newcomer Javier Bardem. Salzar and his crew escaped from the Devil’s Triangle with the goal of killing every pirate on the seven seas – and that includes Jack Sparrow. The pirates only hope lies in Jack finding the legendary Trident of Poseidon, an artifact that gives whoever wields it control over the seas themselves. Also new to the film saga are Brenton Thwaites, who will play a British soldier, and Kayla Scodelario as his love interest. It’s unknown just what shape Will Turner will be in when we see him next. The last time Turner showed up onscreen, he was captaining the Flying Dutchman, ferrying the souls of the dead to the afterlife. Has Will Turner done his time? Is he free of the demands of the Dutchman? And will even he be safe from the wrath of Captain Salazar and his ghostly crew? Directed by Kon-Tiki helmers Joachim Ronning and Espen Sandberg, the next part of the Pirates franchise has been plagued by setbacks, from injuries to legal woes. 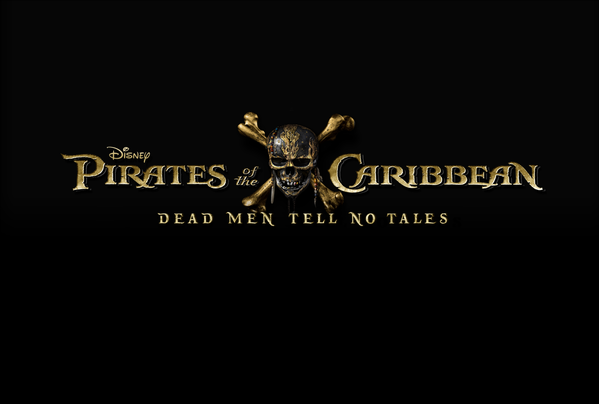 But notwithstanding, Pirates of the Caribbean: Dead Men Tell No Tales is still slated to sail into theaters July 7, 2017. This entry was posted in Breaking News, Film and tagged Disney, Javier Bardem, johnny depp, Orlando Bloom, Pirates of the Caribbean, Pirates of the Caribbean: Dead Men Tell No Tales. Bookmark the permalink.